I don’t think I’ve ever shared with you guys here, but I LOVE potatoes! I’ve never met a potato I didn’t like. In my Bubba from Forrest Gump voice, I like them boiled, fried, diced…I just love them! French fries are my fav food, I could eat them everyday and I actually did eat them everyday in college! 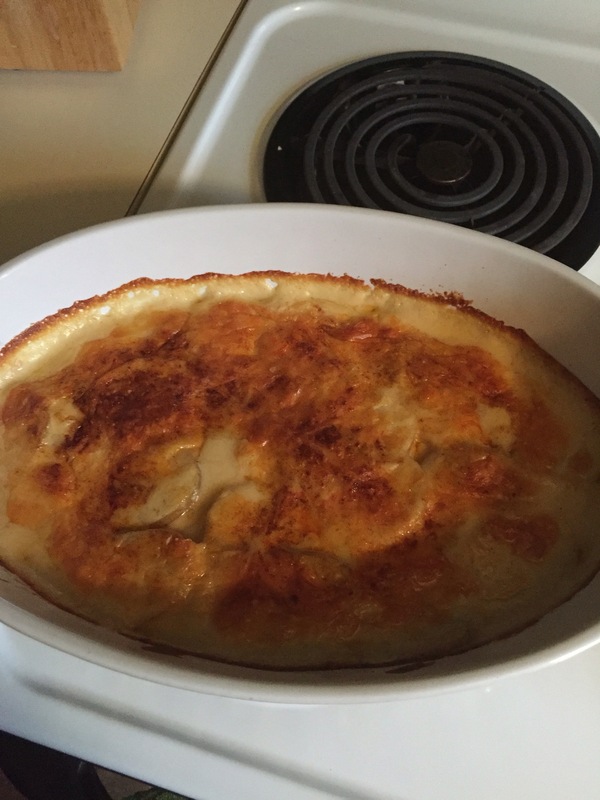 Anyway, although not in my family growing up, I hear that scalloped potatoes are a popular Easter side dish and I found the perfect recipe. It’s easy, and they taste amazeballs! I make them often. This pic is from last Sunday. I had them with an amazing chicken recipe that I saw on Facebook called hasselback chicken. They are a great side dish for pretty much any meal, but I thought I’d share since you may be looking for recipes for your Easter dinner! If you make them, let me know what you think! French fries is my favorite food too. I eat them all the time.